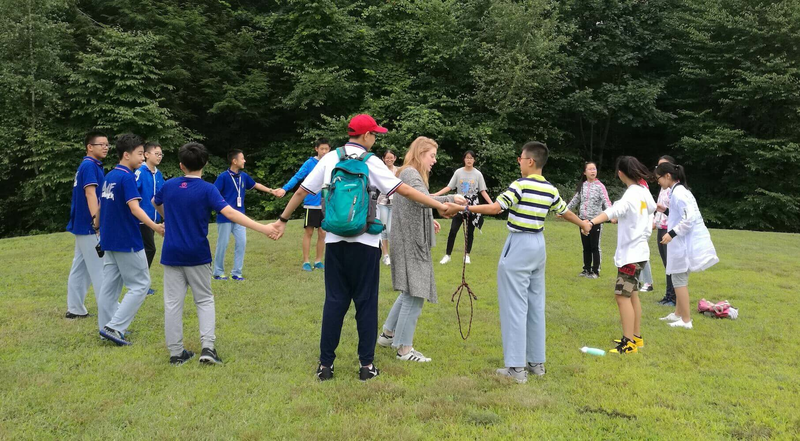 Each summer, Kemsley Academy in Wendell, Massachusetts is bursting at the seams with students who are a part of our ACE program in China. On weekends in Beijing, Kemsley Academy is involved in teaching students at the Experimental Middle School Attached to Beijing Normal University, No. 8 Middle School, and Hua Xia Girl’s School. During the summer, the students continue their classes full-time in the US. The program is growing in China, and we are working with other schools to expand our program onto their campuses. In 2018, we ran a session at Dublin School in New Hampshire. Kemsley Education Group, based in Cambridge, Massachusetts, is contributing in some small way to making the world a smaller place by helping Chinese and Americans to understand each other better. The group organizes education and cultural exchanges and conferences, and helps build partnerships between the most prestigious universities and private schools in the US and China. Kemsley Academy (KA), based in western Massachusetts, helps international students from China succeed in boarding schools across New England. KA's dedicated staff ensures both the schools and the students get the support they need throughout the school year. Kemsley Academy Beijing (KA Beijing), based in Beijing, China, is an American-style boarding school focused on preparing students in China to enter university in the US. Mark Kemsley recently seen on Bravo and A&E around the country as a guest on "Hollywood Live"
Mark Kemsley Hits Amazon Best-seller Lists with "The Soul of Success Vol. 2"